Anse Bonnet Carre can be found when you continue after Anse Source d´Argent to the south of La Digue. 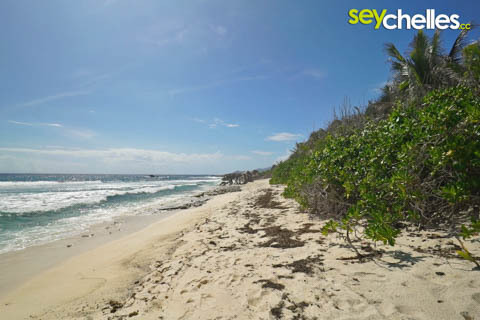 It´s not the most beautiful of all beaches of the Seychelles, but nobody will ever stay here for long. Most people are on their way to or come from Anse Marron. Anse Bonnet Carre doesn´t offer any shade, nor is it a great place to swim. At times there is a lot of seaweed around too. Of course, compared to beaches in other countries in the world it is amazing - but hey, you´re on the Seychelles and you´re getting spoiled every day ;).